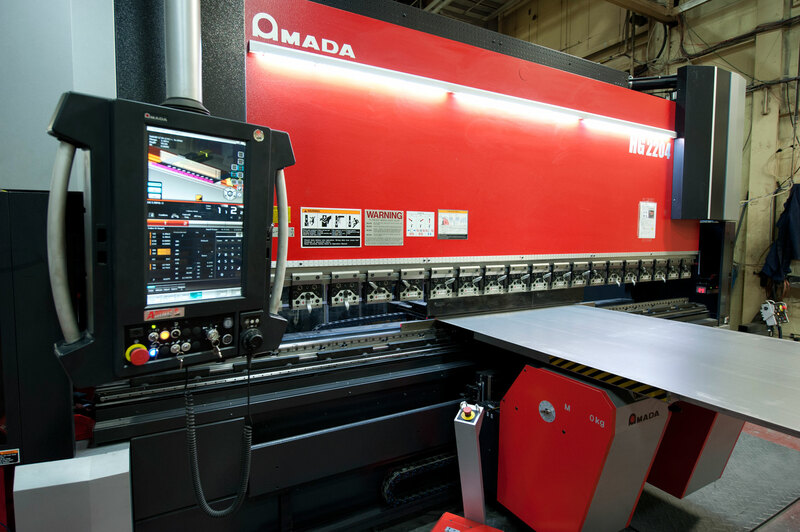 Hydraulic Bending and Forming | Desmarais & Gagné inc.
As of 2018 our equipment now includes 3 AMADA press brakes, the HG-2204, the HG-1303 and the RG-25. Our state-of-the-art machines offer exceptional precision and a repetitive uniformity for production meeting every specific tolerance required. Bending is accomplished on our hydraulic press brake which offers 14 feet of manoeuvrability, 11 working angles and a capacity of up to 247 tonnes of pressure. Additionally, we offer forming services for any kind of materials needed. Over the years, we have continued to develop and improve our various fields of expertise which allowed Desmarais & Gagne Inc. to accumulate and develop several various bending accessories (dies) able to meet the various needs of its customers.